There’s an old CAVC memorandum decision from the Veterans Court that I continue to enjoy reading. Why? First, this decision from the Court of Appeals for Veterans Claims (CAVC), although non-precedential, set off a light bulb in my brain. 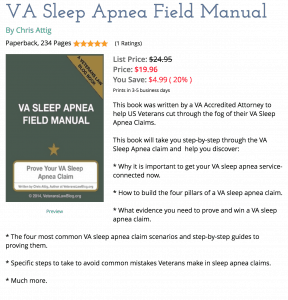 It awakened me to the power of lay evidence in a Veterans disability compensation claim. It is important to note that the decision is non-precedential, but don’t be afraid to use it as a roadmap for your own claim…here’s the citation- 2011 U.S. App. Vet. Claims LEXIS 2343. Second, it reminds me that no matter how much the BVA and VBA try to modernize, reboot, change, improvise, or whatever new management buzzword-du-jour they use, the BVA will continue to make the same mistakes. Over and over and over and over….. The Veteran appealed to the Court of Appeals for Veterans Claims, which promptly chucked the BVA decision into the nearest trash can. In a nutshell, the BVA Judge looked at favorable Lay Evidence of an in-service injury, and dismissed it for lacking probative value simply because it talked about medical issues. It is worth noting that Jandreau had been established law for 2 years when the Board made this ruling. 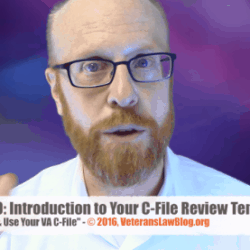 Violating the Court’s holding in Jandreau, is one of the most common errors that the BVA makes….this one, however, takes the cake: the BVA reviewed the wrong Veteran’s C-file. We all make mistakes, but if I did this, I would be disbarred as an attorney. 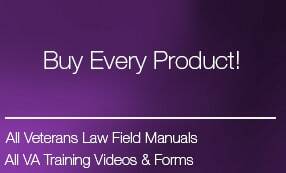 Here’s the REAL deal: While the BVA really struggles with lay evidence – I’m here to tell you that it is the Magic Bullet in your VA Claim. Lay statements about a Veteran’s medical condition, the cause of the condition, the in-service precipitating event (and more) always have probative value; the BVA cannot categorically dismiss this evidence. The Pure Raw Power of Favorable Lay Evidence. Do you see what’s REALLY going on here? The Veteran in this case used favorable lay evidence to establish a part of his claim. Do you think that the BVA will fail to address that issue on remand? No. Do you think that the Veteran should dig into the element of service-connection and provide more – and BETTER – Lay and Medical Evidence? Yes. This is how you get off the “Hamster Wheel”. You get all of your claims for all of your conditions consolidated DOWN to the lowest level possible – and then you prove all of them UP, using the 8 Steps to Improve your VA Claim. Will this get you a “win” overnight? No. You still have to deal with the same timeline we all do. Will this get the VA to come crawling, on its knees, begging forgiveness for its errors? No, you should give up that ghost – it will never happen. 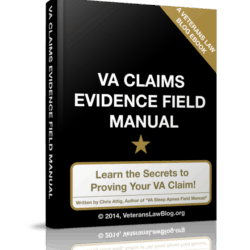 Keep focused on your job in your VA Claim – your job is to follow each of the 8 Steps I’ve outlined here. Here’s what it does mean – following the 8 Steps will make your claim better and stronger. When you get to the 5th Step, you will learn how to use 5-Star Medical and Lay Evidence to really give your claim some Power. It may take the same time to get to a Ratings Decision, or a BVA Hearing, but when you are done, you are done. Unless you have a perverse desire to battle the VA endlessly, or suffer from some form of “VA Claims Stockholm Syndrome”, then you can go on and live your life while other veterans spend the rest of their days battling the VA. The BVA often makes decisions that lay evidence of this type is not competent; equally as often, the BVA fails to provide adequate rationale why it is not competent. This often requires, at a minimum weighing the lay evidence against other (sometimes medical) evidence, and explaining why it is less probative than the other evidence. Bottom line: If the BVA rejects lay evidence simply because that lay evidence discussed a medical condition, then the BVA may have erred. Get in touch with an attorney that routinely handles appeals at the Court of Appeals for Veterans Claims, and get the decision thrown out by the CAVC.